I can't believe how long it's been since I've written a review. I really don't know what happened to my review mojo. I promise to be better! I think I'll have to do a hit or miss post to catch up on all the reviews I haven't been doing! 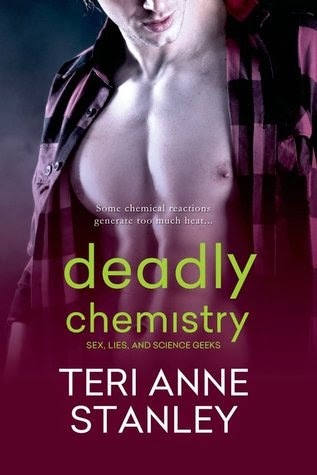 I was so excited to read this book because I met the author at Lori Foster's Reader/Author Get Together, and then I found it was a romantic suspense and got super worried because we all know how well romantic suspense and I get along. (We don't.) I have to say, for a debut book, this was really good and I can't wait to read more by this author. I have to admit I was really surprised at how much I ended up liking this one. The heroine, Laura was normal, strong and independent. She had a lot of chemistry with Mike, and I liked how he was sort of undercover as a janitor and not something more glamorous at the university and how that didn't stop Laura from being attracted to him. The mystery was a little easy to figure out, mainly because there weren't that many characters, and I didn't want to believe the character who everyone was blaming for was responsible. :) However, despite that I loved watching everyone else figure out who did it, and that also surprised me because I normally hate it when I figure out who did it before the main character does. This book was also a turning point for me, because after I read it I started reading more contemporary romance and mystery books. If I can read those, then there is hope for me yet with the romantic suspense genre!